Why should I use Elgg for my social network website ? 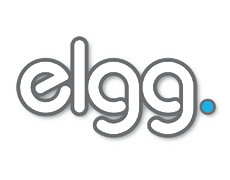 Built on the LAMP (Linux, Apache, MySQL, and PHP) platform, Elgg is one of the best Social Network software which you can use to create fantastic community. With the huge variaty of the plugins Elgg will allows of your users to create profiles, blogs, to upload media files such as images and multimedia, to embed videos and a lot of other things which are allowed in the popular social websites. Free and open source, Elgg is the best solution for you if you want to create social website.